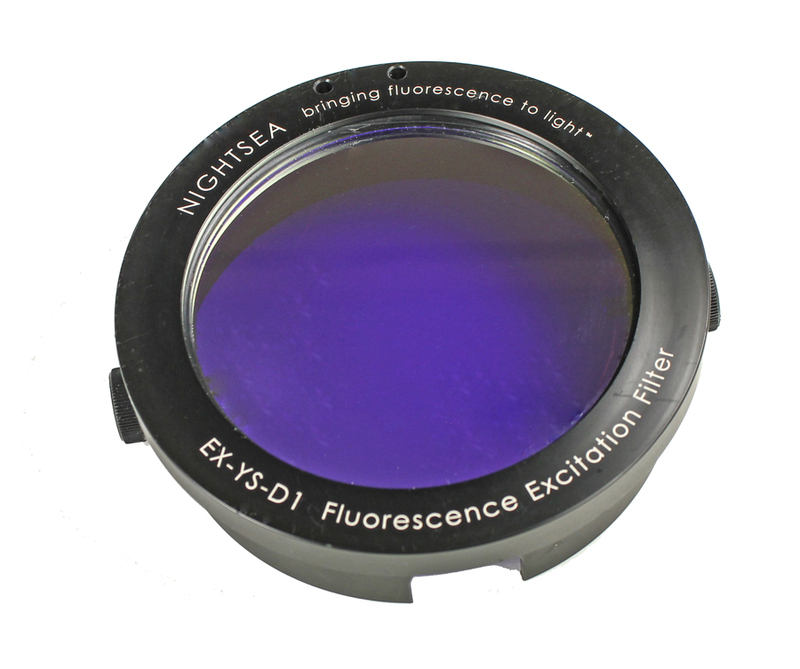 NIGHTSEA’s fluorescence excitation filters turn your electronic flash into a source of intense blue light for taking fluorescence photographs. The key element is our custom made interference filter that transmits just the blue light you need for underwater fluorescence photography. They are used in conjunction with a barrier filter in front of your camera to record the vibrant images you see in the photo galleries. 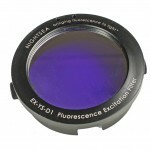 You can even take fluorescence photographs in the daytime – with a short shutter speed you can underexpose the ambient light without affecting the fluorescence image. 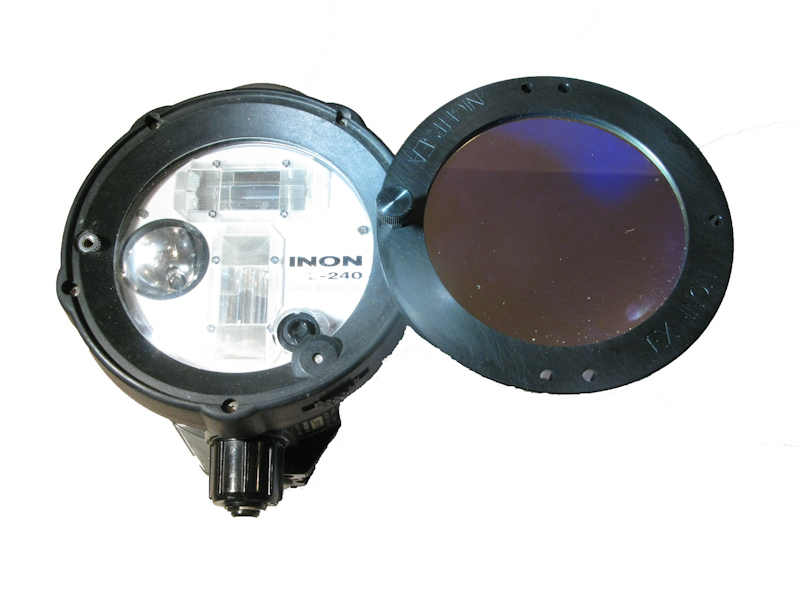 EX-INON – specially designed to mount on the Inon Z240 and D2000 strobes. 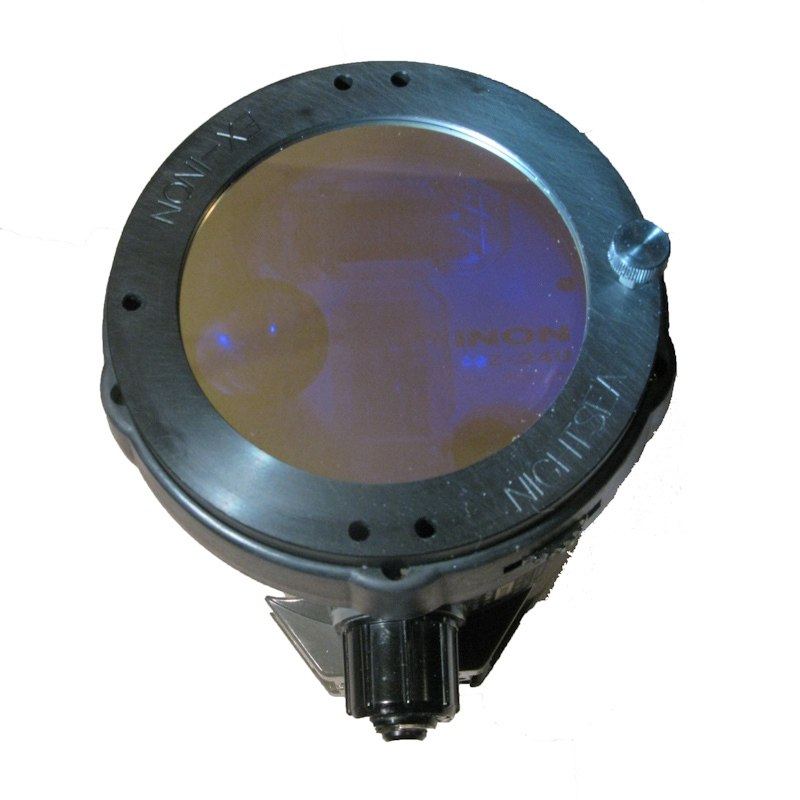 The filter attaches directly to the threaded holes that are provided for the Inon diffuser. 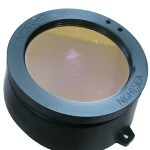 By loosening the thumbscrew you can easily rotate the filter out of the way for switching back to white-light photography. 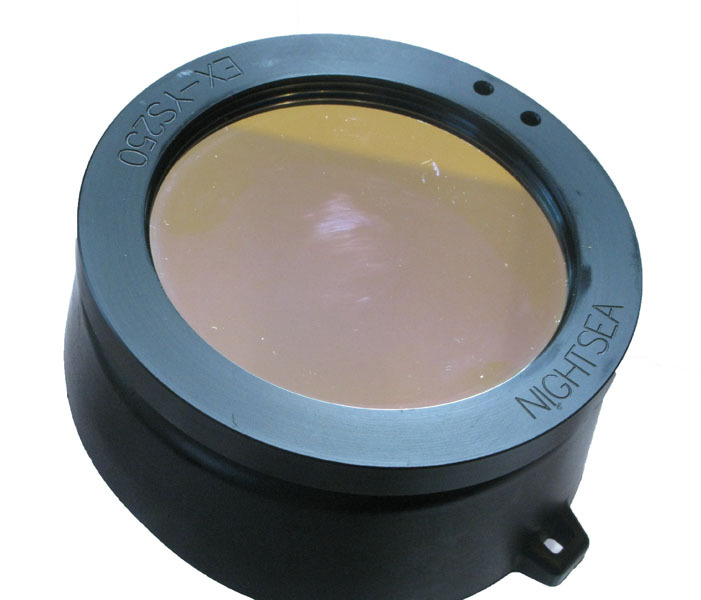 EX-YSD1 – specially designed to mount on the Sea & Sea YS-D1 strobe, and also compatible with the YS-D2. 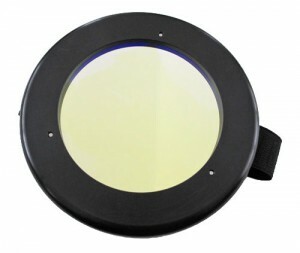 The filter slips smoothly over the front of the strobe and secures with plastic thumbscrews. 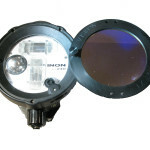 EX-YS250 – specially designed to mount on the Sea & Sea YS-250 strobe. 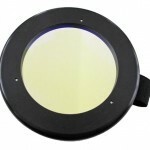 The filter has a bayonet mount that attaches directly to the front of the flash for easy installation and removal.